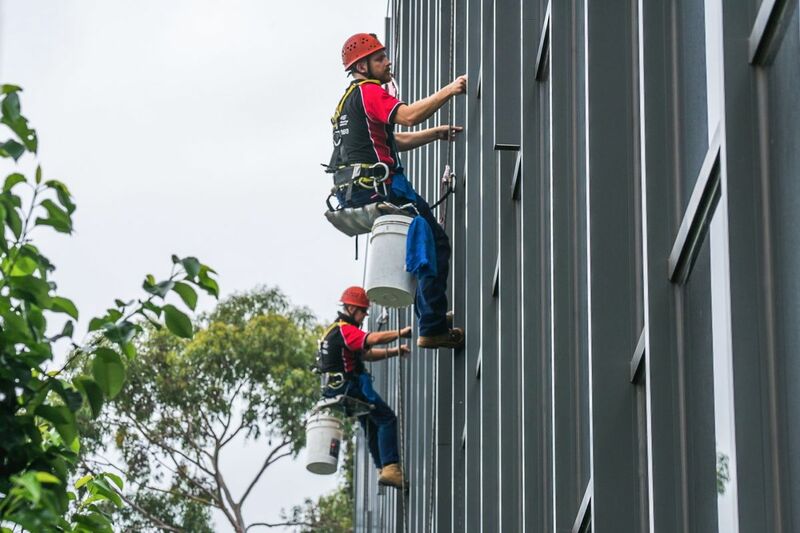 Extreme Window Cleaning & Maintenance Pty Ltd provides a professional service for all high rise window cleaning. Our staff are professionally qualified and trained in the twin rope method and use on elevated work platforms ensuring a safe, quality finish to our entire high rise window cleans. With over 25 years combined experience we can confidently quote all high rise buildings, from the straight forward to the most difficult, in the safest & best cost effective manner. In addition to this professional service we also offer professional cleaning of the inside windows and any glass partitioning in your high rise property. Incredible window cleaning and maintenance services at competitive prices. Call us on 1800 986 985 or fill in the enquiry form for a free, no-obligation quote for your rope access service needs.